The International Relations program boasts highly engaged students who possess a diverse set of experiences. Every summer, our IR majors and minors prove this through their participation in study abroad, summer classes, and internships. To recognize their accomplishments, and serve as a resource for current and future IR students, Hawk International will be highlighting our student’s summer activities throughout the month of August. Next up, is rising senior Erin Davison! An Interview with Erin Davison. International Relations, Class of 2019. You were in Philadelphia this summer! What were you doing here? I got a great offer from the City of Philadelphia to be part of the 2018 cohort of Mayor’s Interns. The Mayor’s Internship program is a ten-week internship program for upper level undergraduate and graduate students. The program includes departmental work, professional development activities, and a city-wide group project. For my departmental work, I was assigned to the Food Access Collaborative at the Office of Homeless Services (OHS). Because my internship was part time, I was also able to be a student researcher with the Summer Scholars program under the direction of Dr. Baglione. Of all of the places that you could have interned this summer, why Philly? I normally live with my parents in North New Jersey during the summer, but I was determined to stay in Philadelphia because this was my last summer as a college student and I’ve never spent the summer on campus before. I am so pleased with my decision. I was able to explore parts of the city I was unfamiliar with, and there were so many fun summer activities geared towards college students. You mentioned that you interned at OHS’s Food Access Collaborative. Can you explain what that is? The Philadelphia Food Access Collaborative at the Office of Homeless Services seeks to build effective, partnership-based solutions to address the challenge of reducing hunger in Philadelphia and to better serve the needs of vulnerable individuals who seek emergency congregant meals by strengthening connections to key social services. How did you further the mission of the Food Access Collaborative as a Mayor’s intern? As a Mayor’s Intern, I coordinated outreach and engagement efforts in the Kensington neighborhood of Philadelphia and created food insecurity surveys to be disseminated in the Kensington homeless encampments. I also fostered partnerships between Kensington residents, community stakeholders, and the City by working with the Kensington Community Meals working group. This group is made up of neighbors, faith community leaders, non-profit organizations, and volunteer service providers. It is organized and facilitated by employees at the Food Access Collaborative. As part of the group, I was able to improve operations at a local service provider through the digitalization of guest sign-in and volunteer registration and also assist in the creation of a standard operating procedure at local service provide. How would you compare this internship with others you’ve had? I love any form of experiential learning, so I’ve had quite a few internships before this summer. My favorites were at Women’s Campaign International, the World Affairs Council of Philadelphia, and the European Parliament. I would say that my internship with the City is similar to the others in the sense that I was able to continue examining the role institutions can play in empowering communities. However, this is the most hands-on internship I’ve had. I largely worked outside of a traditional office environment. Most of my summer was spent attending community meetings, doing outreach in encampments, and working collaboratively with community partners and residents of Kensington to address food insecurity as it relates to the opioid epidemic. Do you feel that your internship – and general experience in Philly- ties into your IR/POL studies? Yes, yes, yes. If I hadn’t taken Politics of Homelessness with Scarlett McCahill in my sophomore year I would have drowned. I’m not kidding. Thanks to Scarlett’s class, I had a clear picture of what homeless services in Philadelphia looked like and the role that different community partners play. I’m also making lots of connections between the opioid epidemic and what I’ve learned in my International Relations courses (especially Dr. Baglione’s War and Peace class). My work with OHS has reinforced that most issues are global in nature and that collaboration on the local level can be very effective when searching for solutions. Do you have any advice to students who are interested in staying on/near campus and interning over the summer? If you don’t have guaranteed housing, apply to live in the dorms or sublet from a friend off-campus. Start looking for internships between January and March. Some of the most attractive and competitive internships hire early. If there is something you have your heart set on, do some research over winter break. If you want to do an internship but don’t know where to look, ask a professor! They can help by connecting you to alumni or others in their network. They will also know where past student interns have had positive experiences. Learn to use Septa (ask an upperclassmen if you need help! Or Google.) and explore the city as much as possible. Take advantage of the fact that Hawk Hill is quiet in the summer. Use all of the facilities that are open, and try to catch up with professors whose schedules are more free! Did the Political Science Department, IR Program, or Career Development Center assist your search for an internship? I found the listing for the Mayor’s Internship Program on LinkedIn. Another student in the IR program who was previously a Mayor’s intern also served as a wonderful resource during the application process. Do you have a favorite memory of your summer in Philly so far? I spent the Fourth of July in Old City with my roommates and some other friends! We spent most of the day enjoying the free or discounted museums and then we watched the fireworks from Belmont Plateau near campus. Have you had any successful or unique networking moments? Yes! The Mayor’s Internship program had weekly professional development and networking seminars. I was able to meet employees from all over the city, and scheduled three follow-up informational interviews. I also was able to network with the other interns in my cohort, who attend universities all over the country and boast a very diverse set of experiences. I’m looking forward to connecting with and learning from them in the future! Can you tell us a little bit more about your involvements at SJU? I’m an International Relations major with minors in Health Ethics and Faith Justice studies. I currently serve as the President of Sigma Iota Rho and am a Newman Civic Fellow for the 2018-2019 academic year. I’m also a senior editor here at Hawk International and a student editor for the Hayes History Journal. Do anything and everything! I’m applying for some opportunities that might take me out of the country, but I’m also looking forward to applying for domestic jobs. Ultimately, I’d like to work for an international NGO that uses sensitive and culturally-relevant programming to address health and educational inequities. For the time being, I’m open to any opportunity that comes my way and am looking forward to what life after graduation brings! If you’re interested in applying to the Mayor’s Internship Program, lookout for postings on LinkedIn and Smart Recruiters early in the Spring 2019 semester. 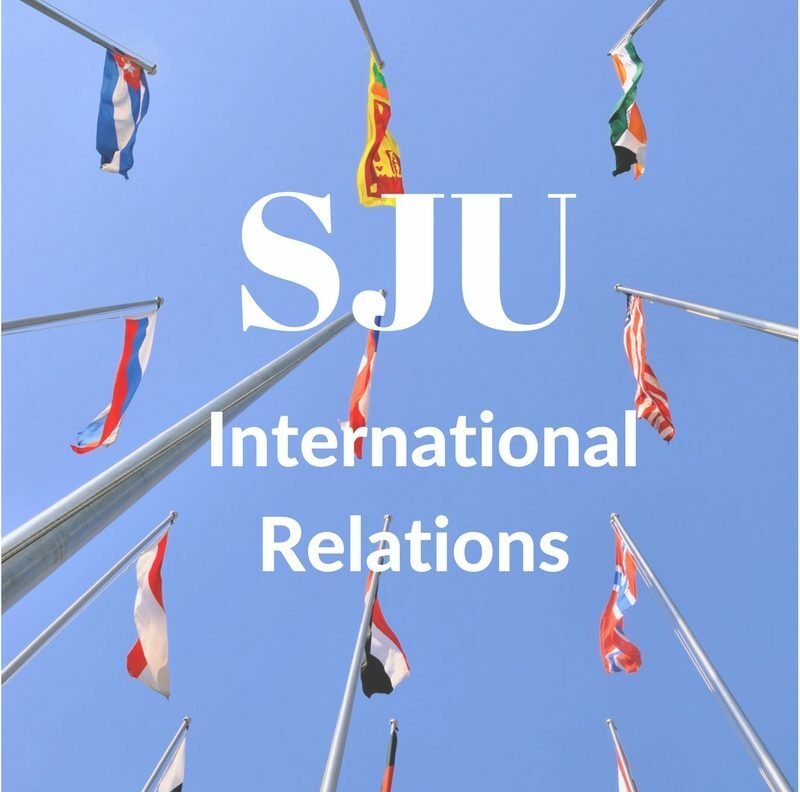 Additionally, feel free to contact Erin for help at ed639796@sju.edu. Next From Education to Action: How SJU courses prepared me for Washington.